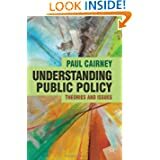 “There is extensive health and public health literature on the ‘evidence-policy gap’, exploring the frustrating experiences of scientists trying to secure a response to the problems and solutions they raise and identifying the need for better evidence to reduce policymaker uncertainty. 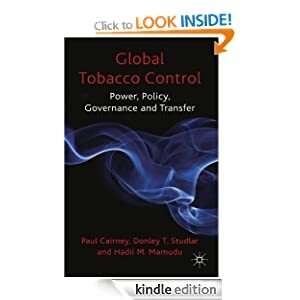 We offer a new perspective by using policy theory to propose research with greater impact, identifying the need to use persuasion to reduce ambiguity, and to adapt to multi-level policymaking systems”. We use this table to describe how the policy process works, how effective actors respond, and the dilemmas that arise for advocates of scientific evidence: should they act this way too? How far should you go to secure academic ‘impact’ in policymaking? 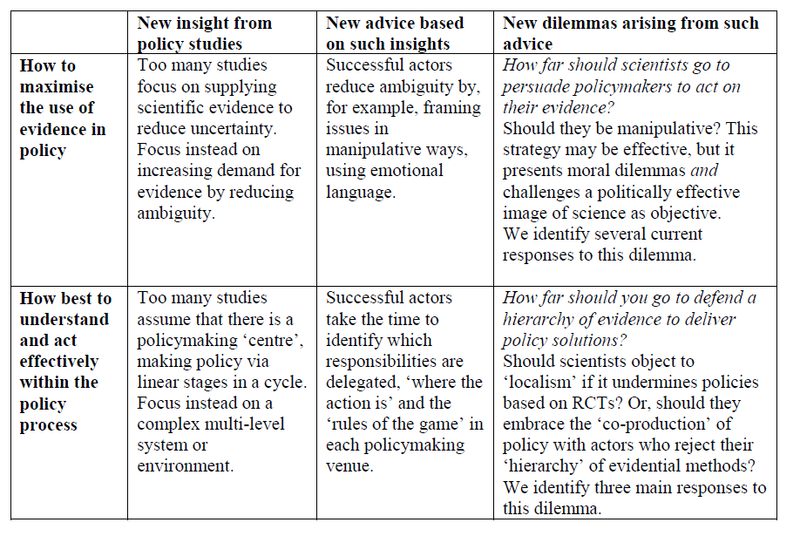 Political science improves our understanding of evidence-based policymaking, but does it produce better advice? What 10 questions should we put to evidence for policy experts? Why doesn’t evidence win the day in policy and policymaking? I am also guest editing a series of articles for the Open Access journal Palgrave Communications on the ‘politics of evidence-based policymaking’ and we are inviting submissions throughout 2017. There are more details on that series here. 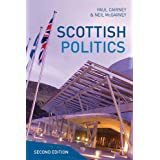 … if you’d like to read about the policy theories underpinning these arguments, see Key policy theories and concepts in 1000 words and 500 words.